Cool off with a summer mocktail—that is, a delicious beverage that doesn't have any alcohol in it. Whether you're at a barbecue or just hanging out on the front porch on a steamy summer night, sipping on a flavorful and interesting icy drink will cool you down and put a smile on your face. 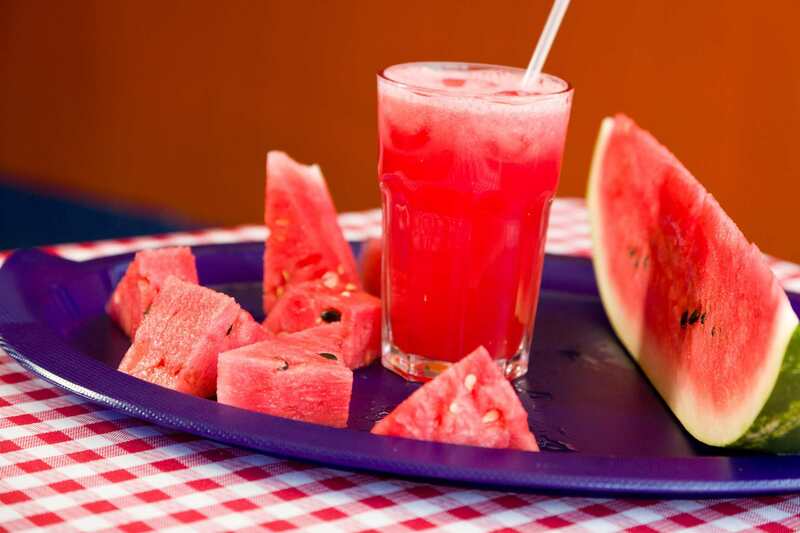 From Mexican drinks that are non-alcoholic to booze-free Indian-inspired sips, there's a chilled drink for everyone during the summer months. If you're looking for a Mexican drink that is non-alcoholic, try an agua fresca. Literally translated as "fresh water," agua fresca is popular in Mexico and is an alcohol-free blend of water and sugar with fruit, flowers, seeds, or cereals. The most common flavors include hibiscus, tamarind, and horchata, but it can be made with ingredients ranging from mango and strawberry to chia and alfalfa. Agua fresca shouldn't be confused with refrescos from Guatemala and Nicaragua. Though they are often referred to as frescos for short, refrescos are bottled soft drinks. Although horchata might be associated with Central American countries, the non-alcoholic beverage originated in North Africa, where it was made from sweetened tiger nuts. Muslims brought the sweet beverage to Spain around 1000 CE, and it eventually made its way to the Americas via sailing explorers. Horchata de chufa is still made with tiger nuts, but the common version in Mexico and Guatemala is horchata de arroz, which is made with rice milk. As a non-dairy beverage, it's an option for those who suffer from lactose intolerance. 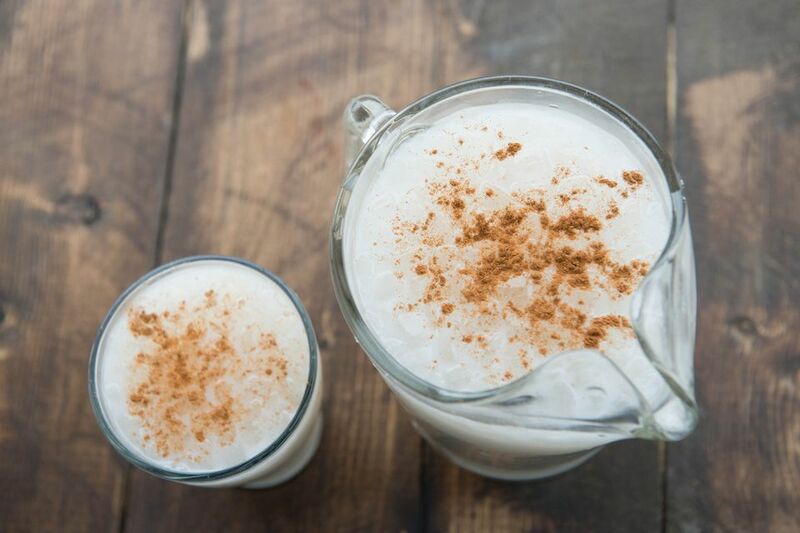 Horchata flavoring can be bought in syrup form, mixed with milk (dairy or nondairy), cinnamon, and vanilla, and served ice-cold for a refreshing drink. Originally from Spain, sangria traditionally contains alcohol in the form of red wine and brandy. However, it also typically has some sort of fruit juice, sparkling water or soda, and plenty of chopped fruit. Simply eliminate the alcohol for a flavorful summer beverage. When you're making sangria, it's best to include a lot of different types of fruit for the most colorful and flavorful beverage. Consider adding sliced citrus, including oranges, lemons, limes, and grapefruit, as well as all types of berries, apples, and melons. Pour fruit juice, such as apple, grape, and orange juices, over the fruit, and then add carbonated water for a little fizz. You don't have to skip out on the tropical beverages just because you're skipping the alcohol. A traditional piña colada, the national drink of Puerto Rico, blends together coconut milk or cream, pineapple juice, and rum. A virgin smoothie, though, still brings that frozen cocktail vibe by blending up pineapple juice, cream of coconut, and ice to create a tropical vacation in a glass. This spiced almond beverage is famous in Pakistan and combines nuts with milk, plus sugar and spices. Almonds and pistachios are ground up together with almond milk to make a paste; sugar, cardamom powder, and rosewater are added and the mixture is blended and then chilled before serving.